I love Manila. It’s a great city with great restaurants, great people, great shopping and great affordability. However there’s one big problem with Manila that is never going to change. The good news is the Philippines has some of the best beaches on the planet, some of which are not too far from the capital. If you’re after your fix of sand and sun, a little weekend road trip is enough to have you sorted. The journey to Cagbalete Island starts before sunrise. A public bus leaves every morning at 5am which you cannot miss (it’s from the JAC Liner terminal in Cubao). 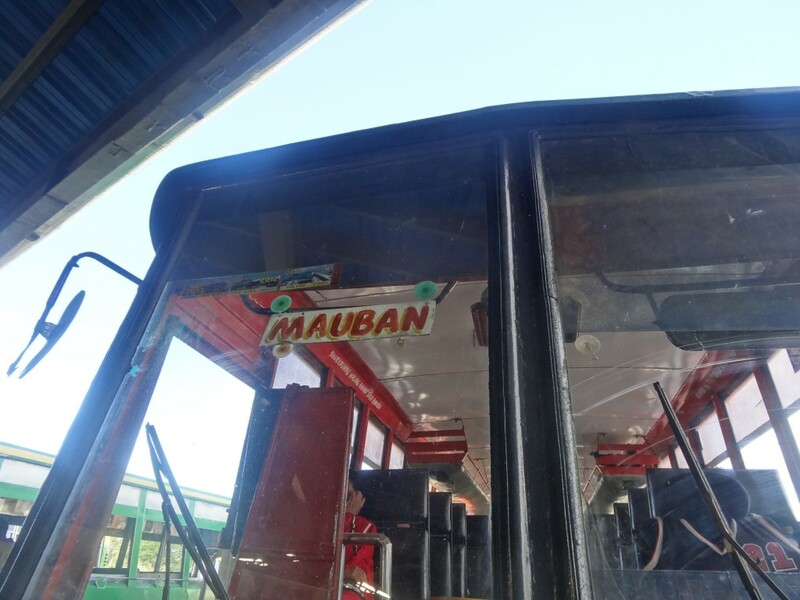 It will take you straight to Mauban in Quezon, where you’ll jump on the ferry to the island. For reasons unbeknownst to me, we decided to take the longer, roundabout route, with a 4am bus to Lucena, followed by a second bus to Mauban. What fun is life if you don’t do things a little different now and then? It’s a refreshing bus ride to Lucena. The buses are modern, probably with a TV playing The Fast & The Furious, along with reclining seats and a working AC. After a short 3 hours, you’ll find yourself at the Lucena bus station, with a wealth of Filipino food to appease your growling stomach. From there it’s another 2 hour bus ride, heading to the town of Mauban. Here’s where the real journey begins. It’s an old and weathered bus, which chugs along at a snail’s pace. The seats are hard and unforgiving. The only AC is the open air windows and the panels vibrate with the rattle of the engine. But it excites you, because there’s not a single foreigner on this rickety old bus. Hell, there’s hardly any other people on it, and that alone tells you that something good lies ahead. The road less travelled is always the most rewarding one, and the road to Cagbalete Island seems to be hardly travelled at all. 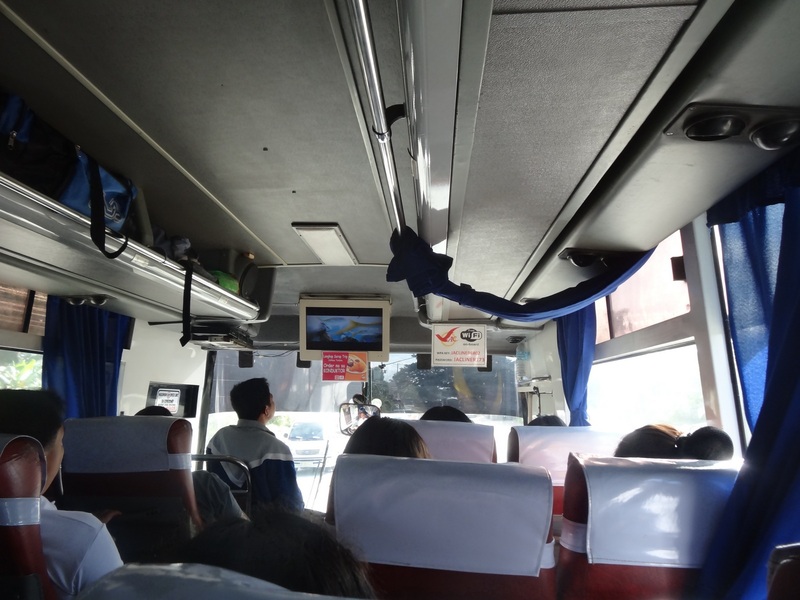 The bus ride offers a pleasant glimpse into rural Philippines. Staring out the window is like a filmstrip of banana trees and beautiful greenery, minimalist houses and bunches of laughing kids playing outside with nature. After a slow but easy two hours, the bus finally pulls into Mauban. Mauban is everything you expect it to be. 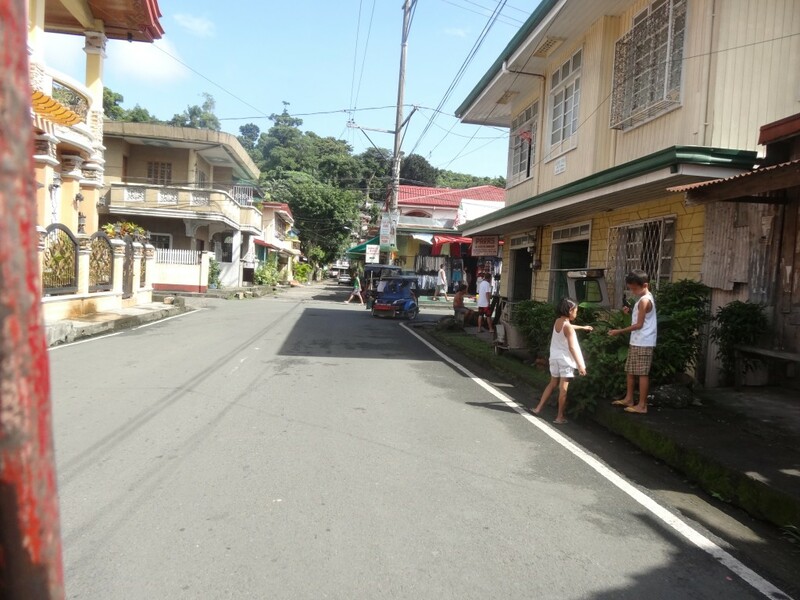 A tranquil little town, where people live in peaceful simplicity. There are no rush hours here, no valet parking. Smiles? Yes, lots of them. Something tells me that’s not a coincidence. 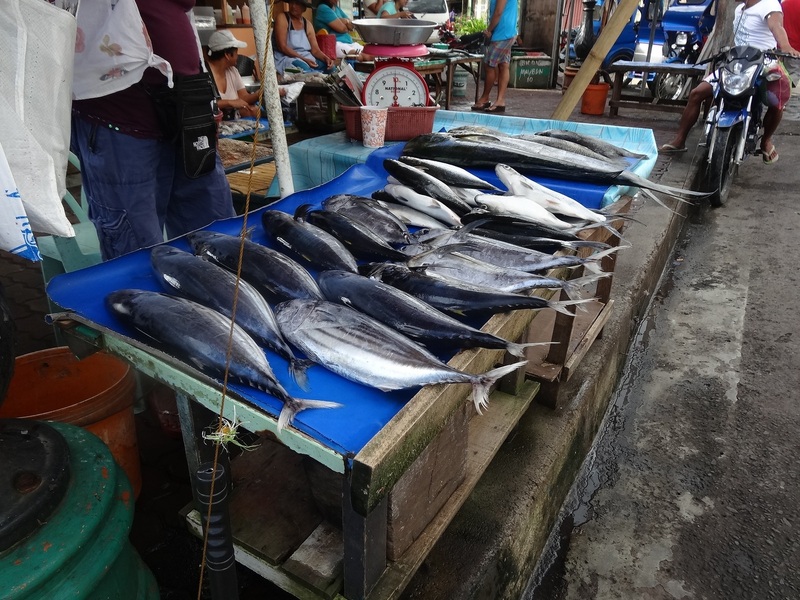 As we make our way through the town, it seems common to buy meat, fish and vegetables at the market to take with you to the island. I’m sensing there is no McDonald’s where I’m going. However, for us there’s no time to shop; our bus has arrived late, and the boat to Cagbalete is leaving any second. For all we know, it’s already gone without us. A trike takes us to the ferry and we rush out onto the jetty, stopping at the ticketing booth to pay our fares. I scamper to the boat and hurry on board, relieved that it’s still here. After all, we’ve arrived 30 minutes past the scheduled departure time. I’m a fool. This is not Singapore. Things here run on island time, where 30 minutes late is not late at all. We’re on time, maybe even early. Patience is a virtue, and these people are among the most virtuous I have met. The 45 minute boat ride is wet, crowded and bumpy. I tough it out. 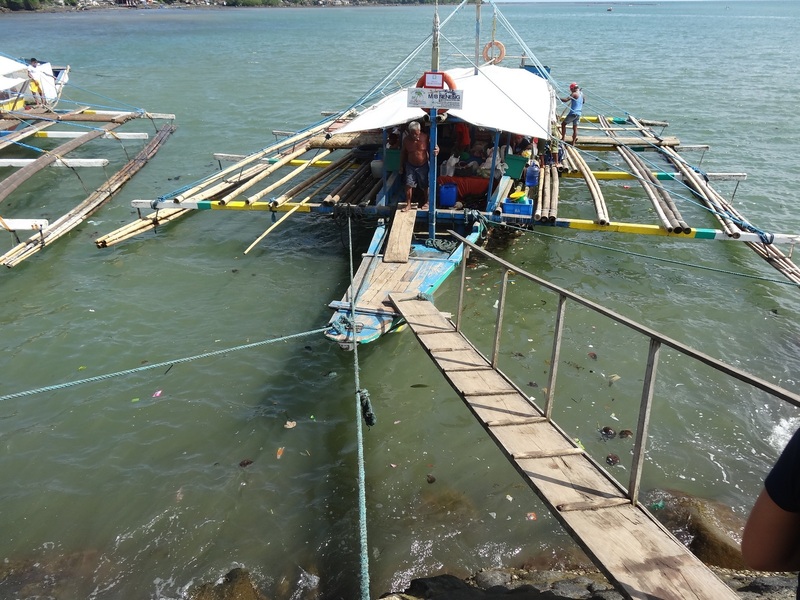 As we pull up to shore the local kids swimming in the ocean jump onto the side of the boat and squeal at me in Tagalog. They are tanned to a chocolate brown, and talk at me with urgency. I smile and hide behind my sunglasses. I later figure out they were simply offering to hold my bags for me, perhaps for a negligible tip. I’ve made arrangements to stay at Dona Choleng Resort, around a 15 minute walk from the dock. Funnily enough, the owner of the resort is on board the ferry with me, so we follow him through the back alleys and out into the open brush. More than once, we need to wade through puddles of thick, sandy mud. It’s all part of the fun. Arriving at Dona Choleng is a refreshing change to the crash and bash of Manila. A collection of bamboo huts line the resort on one side and a handful of cabins line the other, with a private white sand beach lingering just a couple of footsteps away. 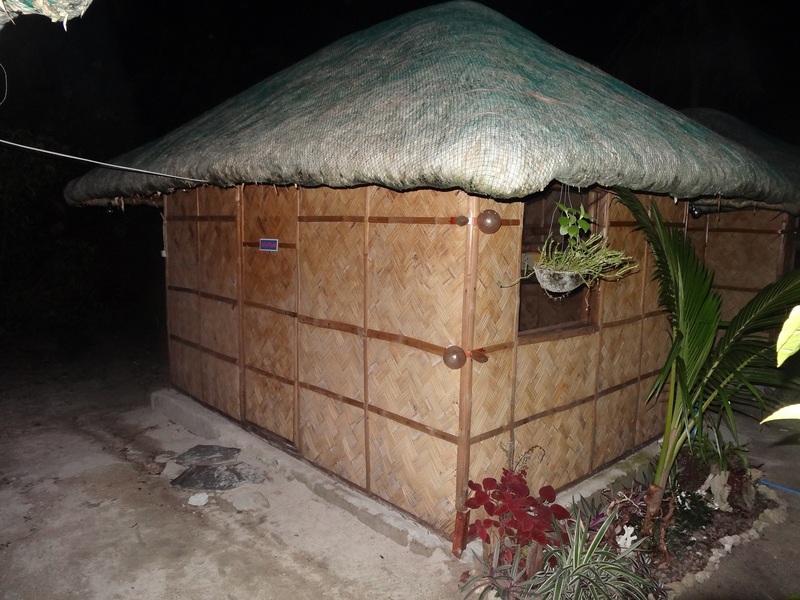 A hut is 1,500 PHP ($33) for the night. I have no problems with that. Scattered throughout the resort are open air bamboo cabanas, where meals are served and you can relax with a drink at night. Not a bad way to enjoy the island breeze. I’m fed well at Dona Choleng. 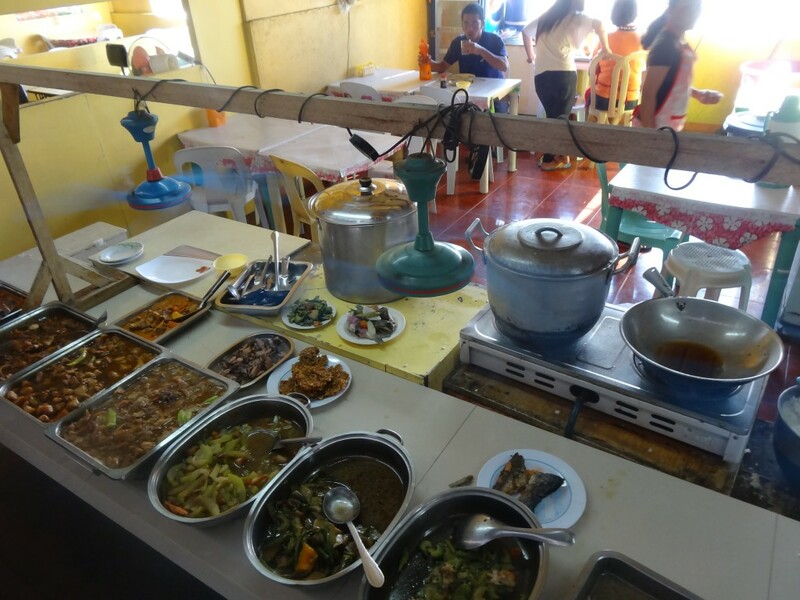 Our stay is fully catered; 800 pesos ($18) for 5 meals a day. At a resort? Yes, at a resort. I need to find more places like this. $18 at home barely gets me an uninspiring salad. 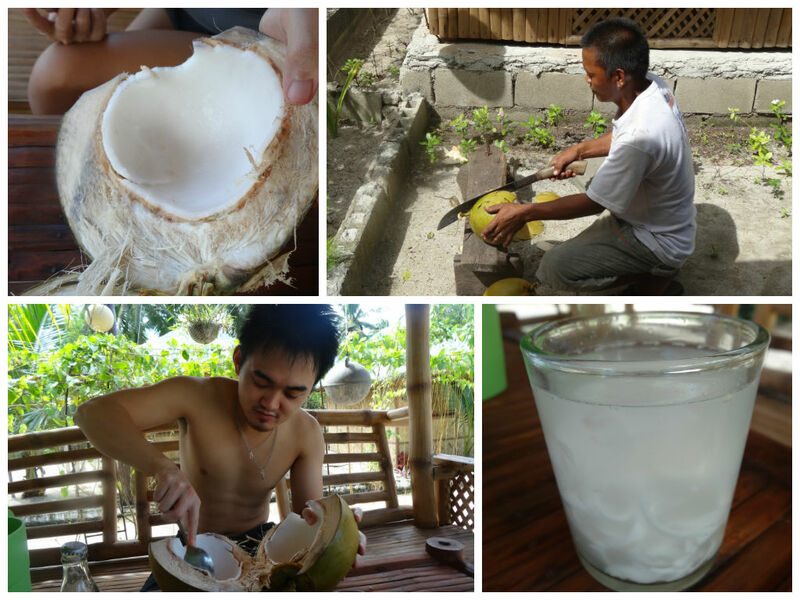 During our first meal I start craving for coconut. In a flash, the staff hunt some down and cut them open, right before my eyes. I eagerly down the juice and devour the flesh. It’s magic. I’m convinced that a coconut a day keeps the doctor away. Apples only pale in comparison. After the gluttony it’s time to hit the beach. It’s November; high season is long gone. We literally have the entire resort to ourselves. Unsurprisingly, the beach is gorgeous. The sand a floury white, the ocean clear and warm. I float in the water and watch the clouds roll by. The freedom is intoxicating. An empty beach is good for the soul. I sit down one afternoon with the owner Ryan who tells me the story of the place. Dona Choleng is the name of his Great Aunt, who more or less owns the entire island. Consequently, all the resort owners on the island are related. It’s a new resort, built in 2012. The condition of the place reflects that. He tells me I’m lucky I’ve arrived in November; earlier in the year around Holy Week (March-ish) he has over 200 guests at the resort, mostly high school students camping out along the beach. In another decade, that would’ve been heaven. 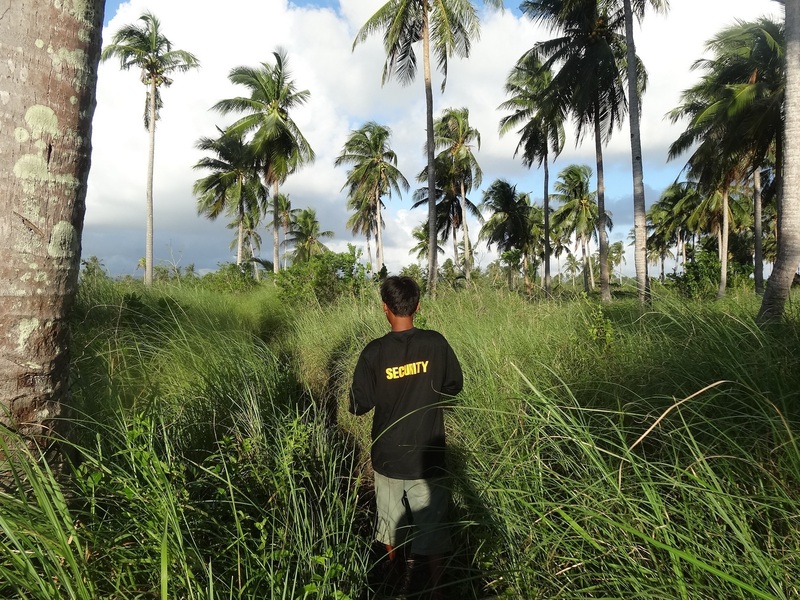 I ask him about the local people and he explains there is an indigenous population living on the far end of the island, known as the Dumagan (I have no idea how to spell it). I’m intrigued. I ask if I could go visit them but he advises against it, mainly because they’re so far away. On our last day, Ryan heads back to Quezon to take care of some business, but before he leaves he offers to upgrade me to the resort’s luxury cabin for the night, for free. I make a mental note to remember his kindness, and somehow let him know it’s not forgotten (Thanks, Ryan!) Filipino hospitality is second to none. After two days of beaching, feasting and eating coconuts it’s time to get back on the road to Manila. However, not before a quick pit stop. 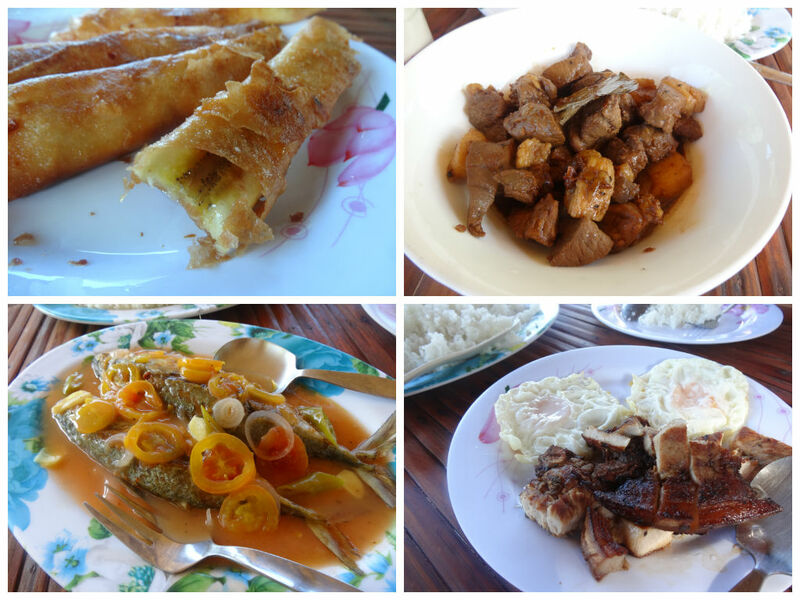 Ryan recommends I stop by the town of Tayabas, to eat at a traditional restaurant known as ‘Kamayan’. I have no idea what it is, but I’m going. After checking out we trek back across the island, one of the resort staff leading the way. He brings us to the loading spot and bids us farewell. As he walks away I call him back and offer him a tip, to which he looks at me in utter surprise. I smile and urge him to take it. His reluctance makes me want to tip him even more. 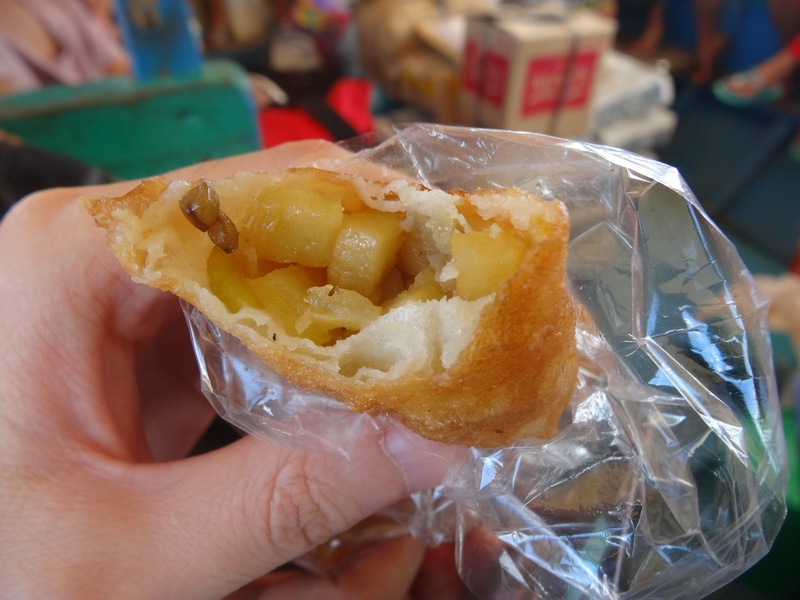 After arriving back on the mainland I sample a local specialty on the way to the bus stop. 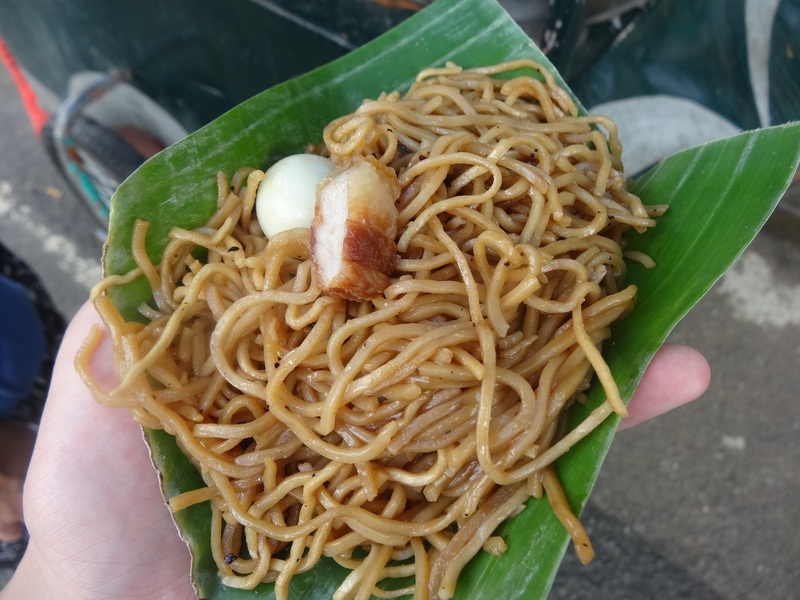 The pancit habhab; noodles on a banana leaf, with a piece of pork and a quail egg. Easy, unpretentious food gets me every time. We jump on the bus to Lucena, but alight in Tayabas to fulfill our side mission. We hail a trike and drop the name “Kamayan”. He nods as if he knows exactly where it is. A good sign. After a good 15 minutes out of the town centre we arrive at a restaurant called Palaisdaan. Despite the different names, I’m somehow convinced we’re in the right place. It’s serene. Floating bamboo rafts, connected by a maze of bridges and a waterfall to watch over it all. Am I even in the right place? I don’t care. We have a shameless feast. With full stomachs and happy hearts, we board the bus back to Manila, sleepy and worn, but also refreshed. Who knew two bus rides and an empty beach could be so inspiring. Thanks for the memories, Cagbalete Island. If you’re looking for affordable accommodation in the Philippines, I highly recommend using Agoda. You won’t find better prices elsewhere. This post is not sponsored and I paid for my trip and accommodation in full. You can read my disclosure policy here. It is amazing how you make simple and ordinary things look special and extraordinary. Thanks for appreciating practically everything you have seen and experienced in those places you have visited in the Philippines! Hi Benedict, thanks! Quite often the simplest things are the most extraordinary – we just never give ourselves enough time to notice it. But I’m slowly learning to do that 🙂 Thanks so much for reading! I envy you so much, i’m from the philippines and i’ve never gone to places that you’ve gone to. A little ashamed that a foreigner like you could appreciate much and make something special of things and places we take for granted in our home. Thank you for your very positive grasps of our country. Do you live in Manila? If so, you should take a weekend to visit this place, it’s worth it 🙂 Thanks for reading! I was born and raised in the province particularly in the Bicol region where anyone who’s been there would marvel at the beauty of the perfect- cone shape Mayon volcano. if you travel a little farther south to Sorsogon, you might have the chance to swim with our friendly giant of the sea, the kind of whale we local call “Butanding” (see not just people are friendly here but our giant animals are even lovable). But i’ve been in Manila for the good of my 30 years, mainly because of my job and eventually raising my own family here. Years back i owned a travel agency. that’s why i sort of tripped on self guilt upon reading your write ups on your travel in the Philippines i had the excitement of travelling in places outside the Philippines but may have failed big time in appreciating my own backyard. thanks, again and hope you come back. I love Cagbalete island! And the food — their vinegar, made from coconut nectar, is pure heaven! It’s just a shame though that if you look closely, you’ll realize that the waters are not as pristine as they appear to be… dead, shattered corals and the relative absence of fish are signs of a degraded environment. Further on out, the corals and rocks have been taken over by algae. We were even served bumphead parrot fish, which is a threatened species that’s responsible for producing the island’s fine white sand. I hope the locals give their environment time to recover from the decades of abuse. Wow, that is a shame. What causes the degradation? Is it just natural decay or are the locals dumping something in the waters? It’s weird, because I didn’t notice much industrial activity going on in the region at all. Hopefully it’s not as bad as it sounds. I am always inspired and couldn’t help but admire your appreciation of these places in my country. Sad to say the truth that I haven’t been to this magnificent place. Thanks for opening my eyes of how beautiful and exotic the Philippines really is. As someone being exposed to beaches and waterfalls, this kind of place ain’t really new and foreign to me but the way you described everything here makes it super special and wonderful. Come and visit other beautiful islands as well for there are more hidden and amazing places you need to see in this country. From the hearts of the Filipinos, we say welcome and mabuhay ka Bren! I’m aware there is so much more to see, if only I had a few more lifetimes haha. New Zealand is an island country also, so we do have some beautiful beaches here, but yours are just a little more charming I think. Perhaps it’s the tropical weather 🙂 Hope you get the chance to visit Cagbalete one day! Thanks Allan for your invitation. Boracay is certainly a place I need to visit again, I made some wonderful friends there, so we shall see! White Beach is breathtaking on the right day, hope you’re enjoying it. That looks nice… I love empty beaches! I’m a Filipino, but this is the first time that I’ve heard of that place. It looks serene and it must be an adventure getting there, something that you don’t experience when visiting popular beaches. I also like your third photo, the one from an eatery, haha. It’s nice to see it from your perspective and get to appreciate local stuffs that Filipinos like me would usually ignore. It’s why I love to travel – there’s always magic in seeing something for the first time. Hope you get to visit! man, i envy you this! you make traipsing through a muddy, flooded trail sound like an adventure. hope i could get to this place one day soon. sound like paradise! lucky lucky, bren! Hi Ryan, nice to hear from you. I’ve linked to you in the article, so hopefully more people can find you. I’d love to come again! We shall see. Also you can see I tried to go to the Kamayan place like you said. Did I go to the right place or? Hi Ryan, I tried to go to your website but its not active. Do you have any other websites I could visit? Thanks. I’m quite careful about which places I promote here, I try to be objective as possible. But of course we can catch up in Manila next time I’m around! Been to Cagbalete this weekend! It was awesome! The sand is powdery white on some part of the island. We stayed in Dona Choleng too. There was a misunderstanding about out accomodation at first. We reserved for a nipa hut, upon arriving at the resort, the staff said it was already taken by other visitors. We were starting to get disappointed and all and there were 11 of us. However, the staff managed to setup a huge tent for us and gave us a discounted rate. The huge tent costs 1500php, due to the hassle and all, we haggled and they agreed to give it to us for 750php for a day tour. In spite all of the things that happened, we honestly appreciate Dona Choleng staff for entertaining us and making a way to make our stay comfortable. The island is pristine and beautiful despite of the fact that there were a lot of visitors coming in last week due to the long weekend. Yep, it’s not perfect by any means, but the island is beautiful. I didn’t experience the crowds because I was there in low season, but can see how that might be a problem. Awesome post! My family is also planning to go to Dona Choleng soon. Did you check BTW which mobile carrier has signal on the island? I was using Smart and I had signal…just. Not for 3G though. Next time you come to the Philippines, go to Tingloy, an island in Batangas. You will love it there. When you are in Tingloy, try to climb Mag Asawang Bato (husband and wife stone). Camp out on top of the mountain (a small one) sleep overnight and a breathtaking view of the nearby Mindoro Island you’ll see in the morning -so serene and beautiful. There’s also a beach down the mountain called Masasa, free of use for everybody. Just Googled it, looks cool! I probably will be in Batangas again sometime, so I’ll see if I can get out there. Thanks for sharing! Is there a community with a Health center in the island? Thanks! By the way great find, Philippines really has a lot of beautiful islands. I didn’t see a health centre while I was there, but then again I didn’t explore too much of the island. I wouldn’t bet on it though. Is there a good mobile signal there? I was using Smart and had moderate signal, but no 3G. Definitely will be on my list! Thanks for sharing! May I know how much did you spend for this trip? I’m from PH and we will visit Cagbalete this year. Thanks! 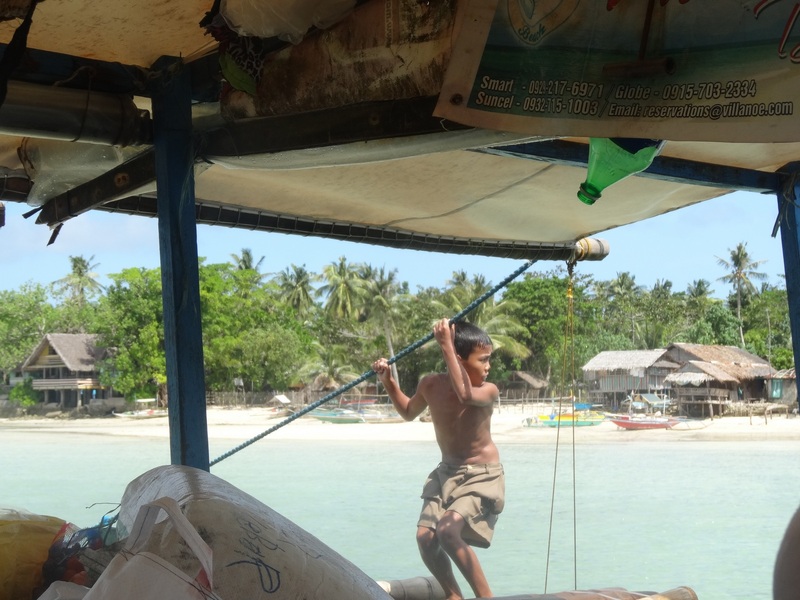 I don’t remember exactly but from memory the bus cost about P200 each way, and the boat around P60 each way. 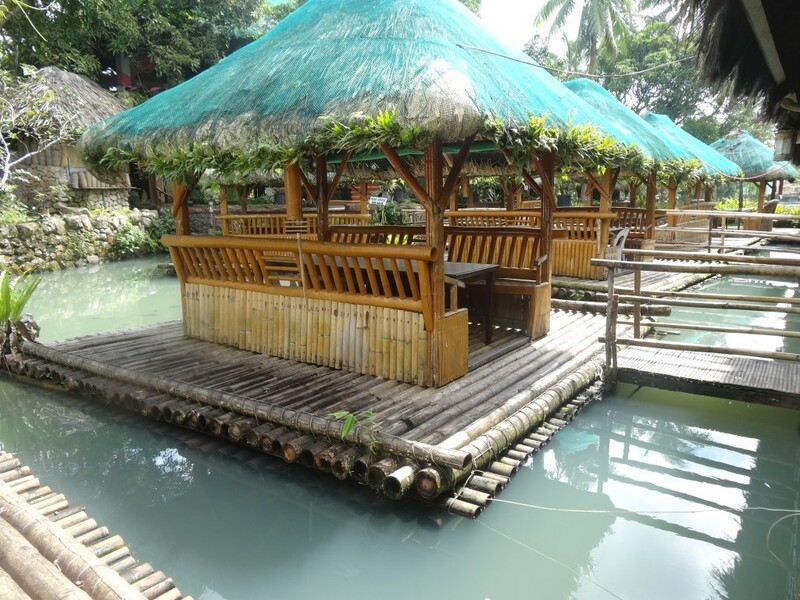 The accommodation was P2,300 per night including full catering. Thank you, this post has been getting quite a bit of traffic recently so I’m hoping that means more people are visiting! How much did you spend for the entire trip? Sorry I can’t remember exactly but I paid 800 per day for catering, 1,500 for a room, and around 200-300 for transport each way from Manila. The room itself can sleep around 3 people so if you’re travelling in a group you can share that! 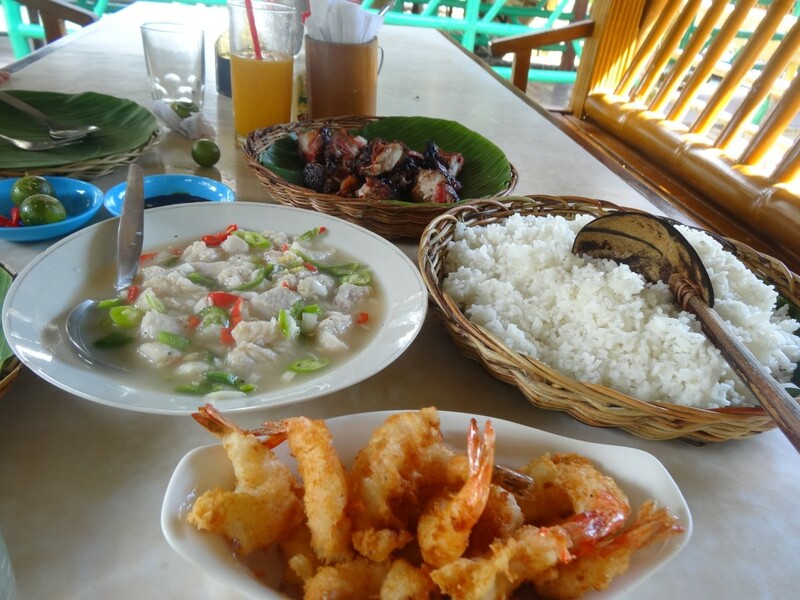 you must visit camotes island in cebu and mambukal resort in negros. you will surely love this man. Yes there are just so many islands to visit that it’s just too hard to choose! Will need to dedicate a whole year to island hopping through the country. Hi Lizabeth, sorry I’m really not sure, I’ve tried Googling it but I didn’t find much. I would assume you’d catch the bus to Mauban or Lucena and from there it would be easy. Your friends from Sorsogon would best know the bus routes – I’ve never been down that way and so I have no idea sorry! 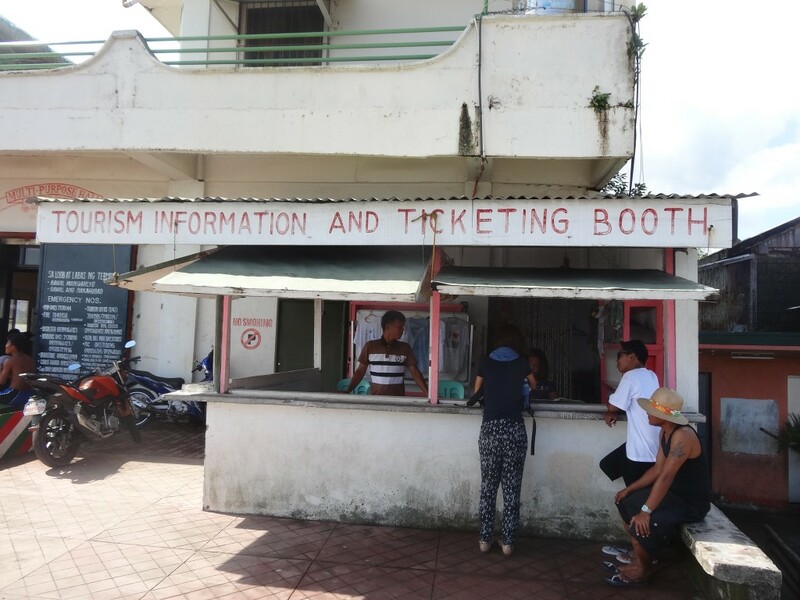 You could perhaps try calling the resort owners on Cagbalete – they would’ve had guests from there before and may know a bit about it. Hi Bren. I really enjoyed your very informative article about Cagbalete. I just came back to the Philippines after 45 years absence. It has been a culture shock for me since values here have drastically changed. The hospitality of the people in the provinces and remote areas have not changed which is good. Since coming back, I have made it my mission to see all of the Philippines before I no longer can. I am over 70 years old. I can do this now since money is no longer a hindrance for me. After visiting 20 Islands, I thought I have seen them all but now I find that this is nothing compared to what there is yet to see. Roughing it out when travelling is not something that is difficult for me to adapt. I love the surprise and challenges. Please keep up your great articles. It helped me and I am sure other people as well. Hi Gen, what a lovely comment, thank you so much. I am so inspired that you are still travelling at 70 and I hope I’ll be happy and healthy enough to do the same. I have no doubt the Filipino people are going to treat you very well indeed. All the best and do keep me updated on your adventures. It’s the perfect place for that! Hi Bren, i was planning to go here with my girlfriend so im checking on some travel guide on the net and i saw your article about Cagbalete. Nice reveiw bro. Hi Ryan, thanks, it’s a great place for a couple’s escape. I’m sure you’ll love it. I’m wondering if the hotel you stayed in is still in business, I checked their website and its down. Planning to got there when I go to the Philippines possibly this next couple months. Thank you for such a lovely post! Was wondering if youd recommend the place for solo female travelling? Any idea if they have waterfalls as well? Hey bren. Used ur guide for my trip to cagbalete this weekend. I stayed in donya choleng as well. We went to this island yang hi at low tide and its spectacular! Thanks for the guide! Hi Jun – awesome! Glad the information is still current. I think Ryan mentioned that island to me but I didn’t get around to going. It’s crazy how it’s such a small island but you still need quite a few days to explore it all. hi bren! we are planning to go there this march, for the ferry, do they have a certain time that you have to be there? and what about going back to manila? we are planning to stay there for just one night. Thank you. by the way very informative post! From memory my ferry was scheduled to leave at 10:30 and the last one was 2:30 – however I can’t remember for sure or if it will still be the same – I’d ask your accommodation, they will know for sure. They should be able to tell you about the buses back to Manila too. Have fun! thanks for this one. Our whole team will be there for a summer team outing..
Nice, hope you have an awesome time! Yes there are life vests but not everyone wears it (I didn’t!). From memory the boats leave Mauban at 1030 and 230, but I’m not 100% sure. Check with your accommodation when you book – they’ll know for sure! I cannot recommend this place. People in this place are tend to take advantage of the tourist they tend to overprice almost everything. From a overpriced private boat worth 3000 php two way and 2500 for 1 way for small group (4-6 person) and the price increase as your group member increase (for instance 12 person for 5500 on way trip) imagine!!!!!!. To a very simple favor you might ask to the local…. almost everything has a price……. One thing more some people in this place are trickster in nature even a kid….. But to be fare the view of this island are great…… But it is enough that I see this Islands once I will not go back anymore……. Why did you take a private boat? Hi bren, me and my husband are always up for an adventure, but this time we’re planning to bring our kids with us (5 and 2 years old). 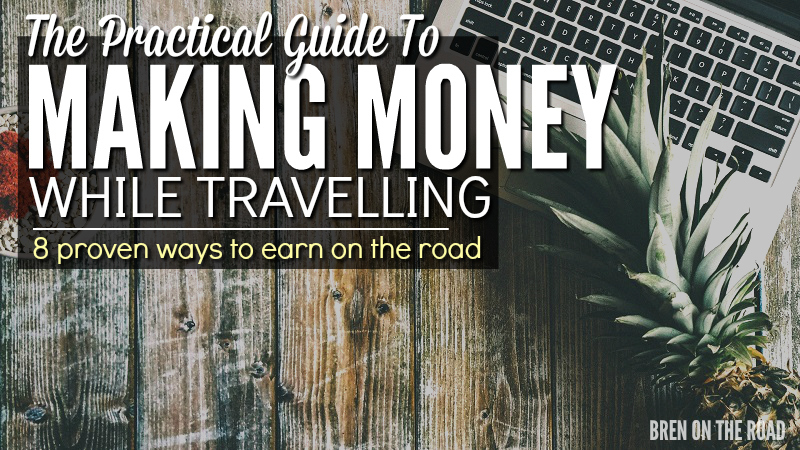 IS it advisable to take them with us considering the long hours of travel with trek? By the way, i like the simplicity of your blog, detailed and fun to read. 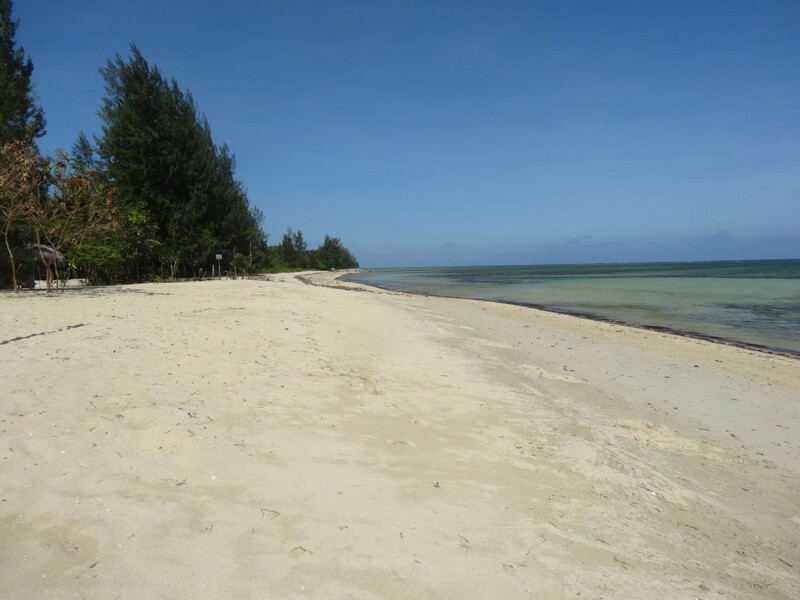 Hi Elaine, Cagbalete feels more like a couple’s retreat and a place for quiet – I feel like kids would have more fun at a busier beach like Boracay. I’m sure they’d have fun at Cagbalete too, but there’s not much to do there other than relax on the sand! Wow! 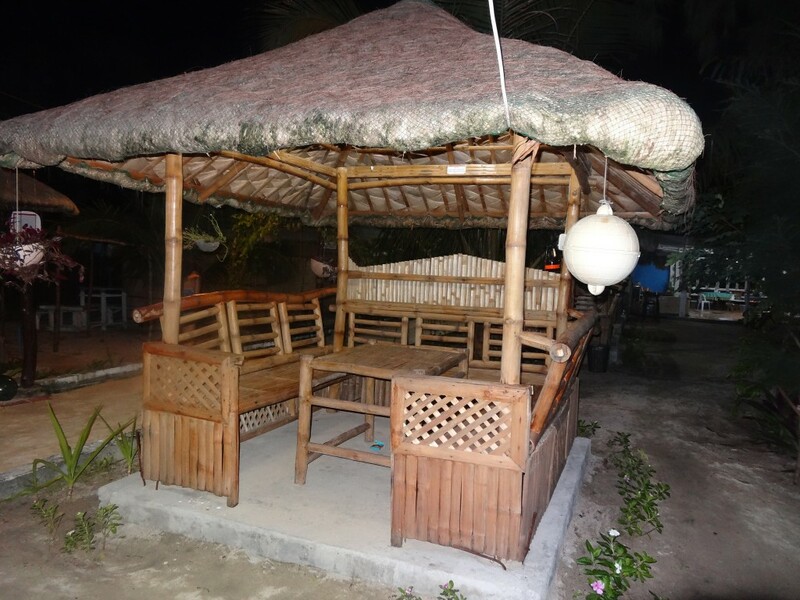 It should be fun and relaxing to be in Cagbalete. We’ll be getting there this May 30th! Ask po. May mabibilan ba tubig inumin sa Cagbalete Island Gallons/Containers? Any water source? Thank you. I just want to ask: Can i pitch tent on the beach? we will go there tomorrow. I was looking for a concised blog about this island. This isnt it. Wow its nice to know you’ve been to Cagbalete too. You really explored the Philippines well when you were here because some bloggers would just travel to the more popular and touristy destinations. Cagbalete is perfect for a weekend getaway. Just a few hours from Manila. 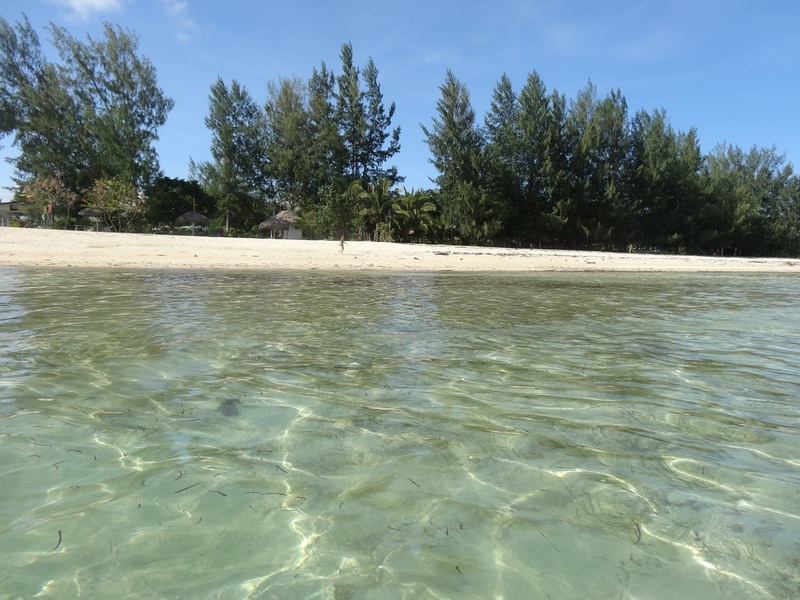 It’s a laidback island with beautiful sandbars. The people I mean the locals are very nice and accomodating too. Very Filipino hehe ?